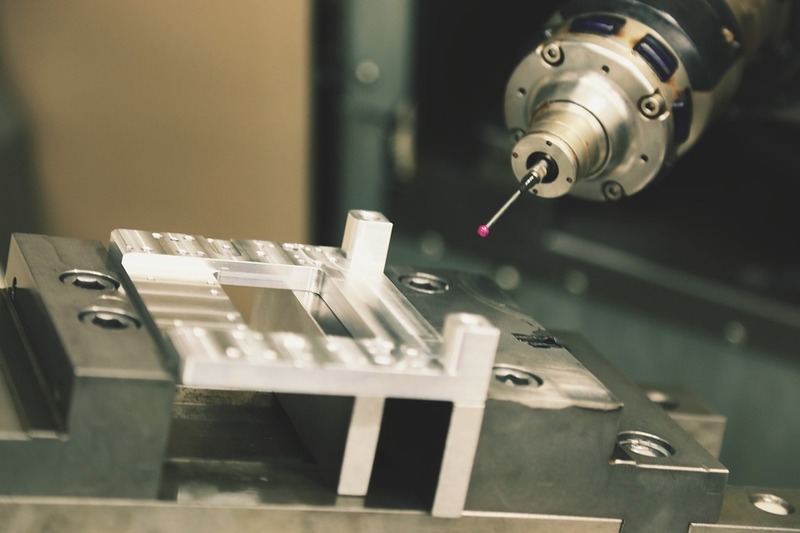 With the acceleration of the U.S. economy and the implementation of new tariffs, domestic demand for the products produced by precision machining, and the tools to fabricate them, is on the rise. The new duties affect a wide range of components including parts for aircraft gas turbines, engine parts, machining centers for working metal, lathes and waterjet cutting machinery. 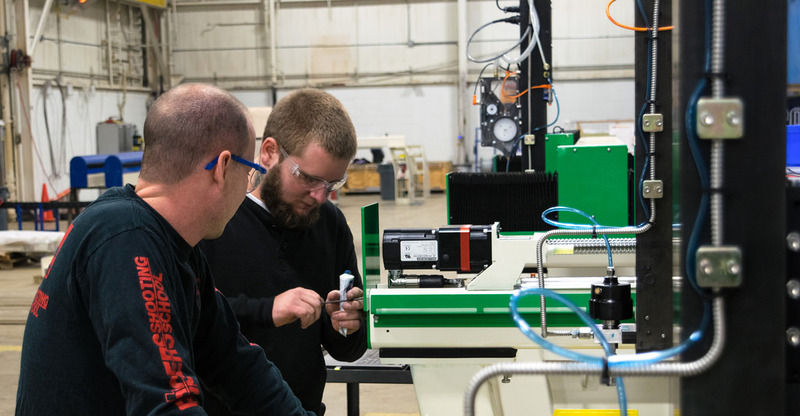 The increased expense of importing machined items is promoting both the growth of existing U.S. precision machining shops and the startup of new ones. • Precision machining and precision machined components. • CNC and precision milling and turning. • Electrical discharge machining (EDM). • Screw machine products (High precision, Swiss, and CNC). • Precision tools and tooling. The majority of precision machining companies, 2,572, are located in the Midwest, where they are well positioned to serve heavy industry. The remaining facilities are distributed comparatively evenly throughout the U.S. with 1,672 in the South, 1,872 in the West and 1,570 in the Northeast. The industry provides 124,276 jobs, an increase of 4.15 percent over the previous year. Average sales have experienced an even steeper rise, growing 8.29 percent to $25.7 billion over the same period. The demand for workers to fill CNC jobs is particularly high. In a time of historically low unemployment, it is a challenge for shops to fill these positions. The shortage of skilled workers is expected to continue in the short term as the industry, and mechanical engineering schools struggle to increase the pool of trained personnel. 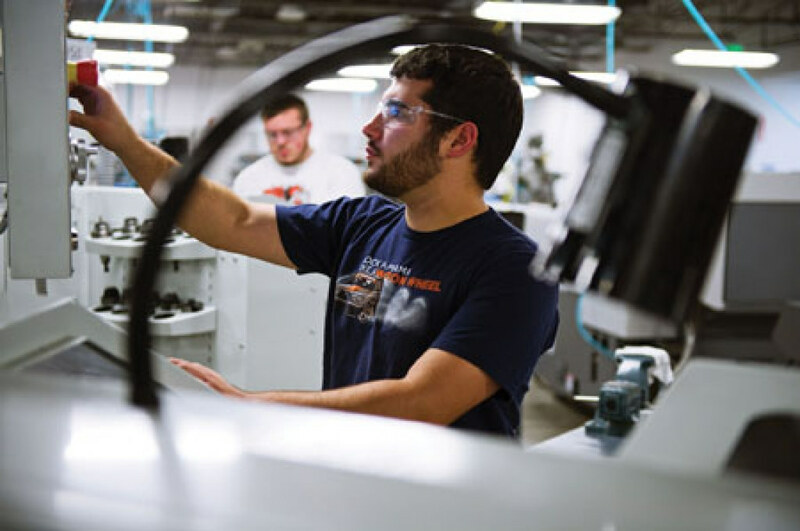 Smaller shops may also form partnerships with high school and community colleges to prepare young people to enter the precision machining field. Precision machining suppliers are introducing equipment-based strategies to cope with the labor gap. Advanced automation is one way companies can increase their productivity even with a smaller workforce. Manufacturers of CNC equipment are providing more models with touch-screen control. The machines can be programmed both more efficiently and more rapidly. Improved interfaces for the input of CAD/CAM files and the use of USB communication are all streamlining the machining process. CNC providers are also expanding their capabilities through the use of 5-axis machines. While traditional CNC equipment operates in three dimensions, up and down, side to side and forward and back, 5-axis machines add rotations that allow cutting tools to approach parts from any angle. The extra axes speed production in several ways. This equipment produces complex geometries without the repositioning of a piece, minimizing operator intervention. Drilling multiple holes also requires less hands-on involvement by workers. The tools used on 5-axis machines are shorter, which allows for less vibration and quicker, deeper, cutting. As a bonus, these machines not only reduce the amount of time and labor required for production but increase quality, necessitating fewer reworks. A notable application of 5-axis machining is the production of cylinder heads for the automotive industry. The software readily integrates slots, spaces, and complex shapes into a plan. Researchers recently exploited the combination of computer-based design and machining for fabrication of a knee implant. Equipment manufacturers have introduced controllers with high-speed central processors. These CPUs hasten operations and increase the level of precision, creating less strain on the labor force while producing superior products. In dealing with the limited availability of labor, waterjet cutting provides several advantages. Machining is minimized, and parts usually require no secondary finishing. The time needed for fixture and tooling setup is reduced. The tight nesting of shapes possible with the process also decreases scrap. For customers substituting alternative materials either to improve the quality of the finished components or to avoid the extra costs of imported metals, waterjet cutting is a smart choice. It is suitable for composites, laminates and ceramics, as well as rubber, glass and plastics. Due to the absence of heat or high pressure, shaping objects doesn't change their physical characteristics, lessening the chance of distortion or fatigue. For shops dealing with conductive materials, electrical discharge may also offer some advantages. Substances of any hardness can be machined, expanding customer options. Thin and brittle shapes can be fabricated without distortion, reducing waste and reworks. Burrs are absent, cutting or eliminating finishing time. IndustryNet gathers and updates information on over 420,000 manufacturers and suppliers. Customers can find listings for providers of precision machining and precision machined parts, tools and components, by capabilities and location. Searchers using this free resource can readily obtain a quote or contact vendors directly or through social media.